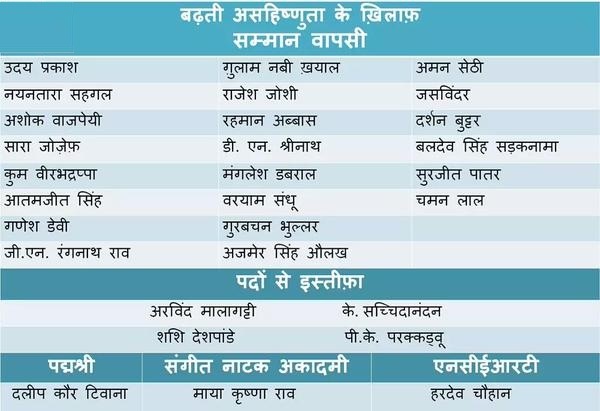 Recently I heard of Sahitya Akademi award controversy. The issue at hand is – many intellectuals are returning their awards conferred to them by the Govt. Sahitya Akademi is a National organization for literature, it is under the ministry of culture Govt of India. Since, I am not in India currently so the source for all this happening was internet. The spark for these events is – brutal murder of an author, rationalist and scholar Mr M M Kalburgi. By the way, I searched on Wikipedia – he was a Lingayat. No, I am not going to say that READ HERE again! So according to my knowledge – Mr Kalburgi was a Sahitya Akademi awardee of 2006. He – being a rationalist – opposed idol worshiping. In India it is fine to follow any religion and practice the rituals suggested in the religion. Idol worship is prominent in India. I too believe it is fine not to worship idol. At the same time, I am fine with people worshiping idols, it is their preference. However, killing Mr Kalburgi – who is against idol worship – is not acceptable. Another news I read recently is killing of 2 kids of Dalit family in Haryana. What are we doing? It is surprising. All these points boiled down to tolerance for me. We need to be accepting people’s opinion and not be selective. Out of curiosity I thought to check opinion on Ramana uncle (generally I call him to ask for his opinion, but currently it is expensive to do that). I searched on his site for tolerance and found this blog – Ramana Uncle on MF Hussein. This blog is on events happened around the kind of work M. F. Hussein has done. Even if we talk about tolerance, freedom of expression etc it does not mean one gets the right to evoke sentiments the way Mr Hussein did neither it gives authority to kill others. There are three incidents that you mention here that has evoked the anger of the intellectuals. In none of the three, the accused have been charged with murder or the motives firmly established. The Indian media has gone on a frenzy on these and other many instances primarily because they do not like the current regime. Till these cases and others are conclusively proved to be the handiwork of Hindu religious extremists enjoying the so called patronage of the BJP government, as claimed, any action by anyone is like lynch law. Exactly the kind that the mob that killed the alleged cow meat eater or the mob that set fire to two children did. What kind of intellectuals are these? They have become investigators, jury judge and deliverers of justice. I agree with your point of view. I also feel that we are believing what is being served to us. There may have been many lynch law incidents not just in India but outside too, but the media is feeding which becomes sensational and gives TRP. Whatever said – we cannot still approve of killing anyone. If that happens Talibans are the same (though I dont want to compare situation here to ISIS/Afghanistan). We are far better off. Indian culture and history did not teach me this. I have learnt – Indian subcontinent did not attack on any other culture. Wish this is learnt by others too from us and we too grow in the same fashion. Why Ganesh Devy returned his award? Second article is in Hindi. So the brief is – This person, Ganesh Devy, used to get a lot of foreign funding but when Govt put some restrictions on the NGO foreign funding, funding to his NGO is reduced substantially. Is it just intolerance in Indian culture or we are selectively highlighting the things? Thank you for sharing your comment. Honestly I have heard about Kashmir of 1989, but didnt know about the atrocities in the manner this letter talks about. Wish, intellectuals had responded similarly at that time too. Also as written in previous response – we are fed what becomes sensational and gives TRP to media. The Bengal and other cases should also come in light. I wonder if we would be considered a tolerant society after that. Also, if Mr Devy’s story has some substance why we do not hear about it from different sources? Just a point. You have written your site as – Business2Buddha.com anyways. I found this fascinating. Thank you.